First Lady Cathy Malloy and Gov. Dannel P. Malloy. Cheshire — In a century-old maximum security prison, a “60 Minutes” news crew recorded visitors mingling Wednesday among inmates and correction officers in a re-purposed cellblock, participants in a criminal-justice experiment that seems destined to become the praised legacy of an unpopular governor, Dannel P. Malloy. 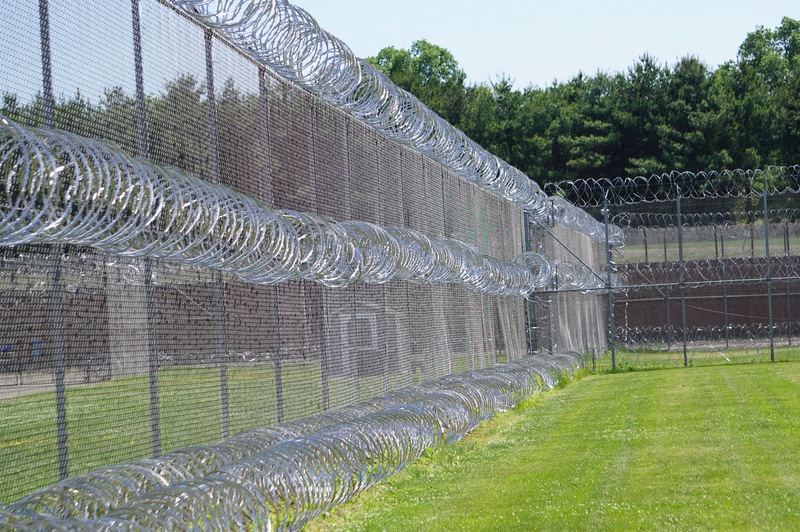 The Cheshire Correctional Institution has been home for 16 months to the T.R.U.E. Program, a therapeutic community for the most disruptive and impulsive demographic in prison, inmates ages 18 to 25. Guided by specially trained C.O.s and inmate mentors, the unit has amassed an impressive record: No violence in a group known for conflict. Malloy is leaving office in January after a tumultuous eight years dominated by Connecticut’s inability to shake off the effects of the 2008 recession and stabilize its finances despite two major tax increases and a smaller workforce. The fiscal crisis has overshadowed two success stories: The elimination of chronic homelessness, and criminal justice reforms that are drawing national attention. Crimes and arrests are down, particularly among the young. The daily inmate census for the entire system has fallen to 13,409, a drop of 30 percent over the past decade. The falling crime rate and shrinking prison population have provided the administration with physical space and political room to make reforms. 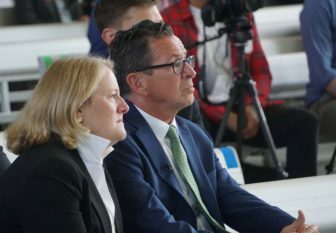 On Wednesday, the governor and First Lady Cathy Malloy hosted more than 150 participants at a conference, Reimagining Justice, that was unusual for its content and, perhaps, unprecedented for its venue. It was wholly conducted within the walls of a working maximum-security prison. A similar conference the Malloys hosted last year was held at the Hartford Marriott Downtown, where participants could come and go. On Wednesday, they stowed their smart phones — banned contraband at prisons — and entered a prison that opened in 1913 as a reformatory. Invited were judges, prosecutors, defenders, legislators, social workers, educators, victims’ advocates and counselors in re-entry programs. The day included seminars on prison education, victims’ impact issues, and how officials assess inmates up for parole. But the focus was the T.R.U.E. unit, inspired by prison reforms in Germany. 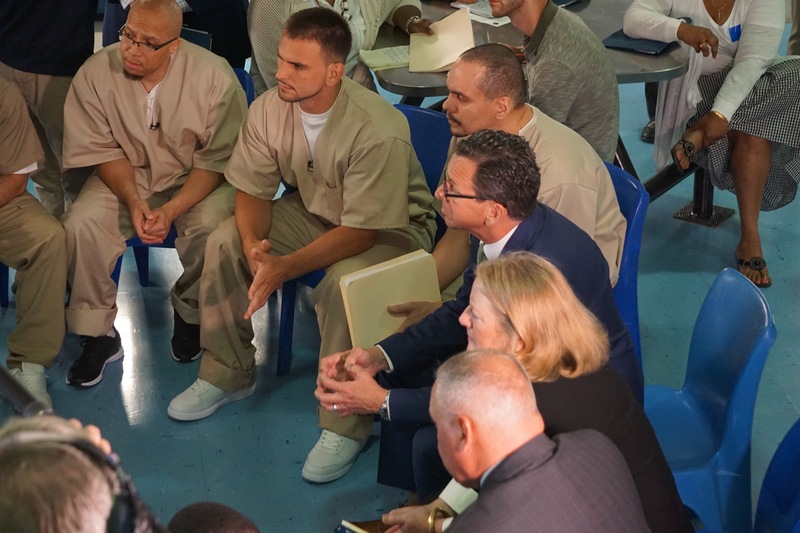 The governor and first lady in a roundtable talk with Cheshire inmates. Malloy and Correction Commissioner Scott Semple toured German prisons in 2015, observing a prison system focused on individual reform, not retribution. Brain-imaging studies have found that the frontal lobes, so crucial to executive functions like planning and impulse control, do not fully mature until age 25. The unit is constructed around morning to night activities, heavy on education and life skills. Inmates do their own laundry. The correction officers are volunteers, a mix of younger staff who came to corrections with degrees in psychology or social work, and long-time officers willing to try a different approach. “We do not coddle,” he said. Superior Court Judge Robert Devlin, a former prosecutor who presides over criminal court in Bridgeport, toured the T.R.U.E. cellblock Wednesday, guided by an energetic young man — whom he had sentenced to prison. The inmate bore little resemblance to the withdrawn defendant who appeared before him in court. “I didn’t expect that,” Devlin said of the encounter. Michael D. Smith, a Springfield native who worked in the Obama administration and now oversees youth-opportunity programs at the Obama Foundation, while also running its affiliate, the My Brother’s Keeper Alliance, was struck by the access visitors had to the inmates. On other prison tours, he said, he could speak to two or three handpicked inmates. John Wetzel, secretary of corrections in Pennsylvania. One of the unit’s unlikely success stories is Shyquinn Dix, a 23-year-old from Stamford who was playing point guard for a junior college in Nebraska when he was convicted of forging checks. He was encouraged by James Vassar, a correction officer who played guard in college. “It paid off,” Dix said. “Every day, working on these programs, working on my grammar, getting myself better, doing public speaking,” he said. Vassar told a college coach, Dan Kane of the University of Maine-Presque Isle, about the Cheshire CI point guard who still had game. To the amazement of Dix, the coach came to visit and talk about basketball and opportunity. He offered Dix a place on the team and a scholarship. Dix said he hopes to be out of Cheshire and enrolled at UMaine-Presque Isle this fall. Roger Johnson, who works for a community re-entry program in New Haven, said setting the conference in Cheshire CI was as useful as the seminars. 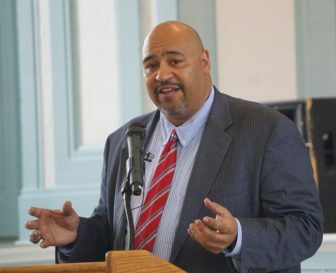 John Wetzel, the secretary of corrections in Pennsylvania, where he developed a reputation as a prison reformer appointed by a conservative Republican and reappointed by a liberal Democrat, said the first governor he served made clear that prison reform was about public safety. Wetzel is a confidant of Semple’s. They both are Republicans who came up through the ranks of prison systems. Wetzel is unafraid to challenge politicians. “One of the challenges in this environment, in criminal justice in particular, is that long-term thinking is the next election,” he said. The next election was on the minds of some participants. Malloy said he believes that Semple has made the case for changing the focus of Connecticut prisons from punishment to rehabilitation, and he sees evidence in the response to the opioid crisis that the U.S. as a whole has grown smarter about criminal justice. He was a prosecutor in New York City when the crack epidemic hit, fueling a get-tough-on-crime credo that gave the U.S. a prison building boom and the world’s highest incarceration rate.